The Martis Fund contributes not only to environmental conservation but workforce housing opportunities as well. This includes committing $1.4 million to the Artist Lofts at the TRuckee Railyard. Courtesy of CFY Development Inc.
Conserving the natural landscape and wildlife habitat of the Martis Valley is just one aspect of the efforts of the Martis Fund, which has been increasingly involved in developing more workforce housing opportunities for residents. Since its establishment in 2006, the fund has provided $1.2 million for the Homebuyer Assistance Program which was relaunched in October of last year, alongside the Sierra Business Council. 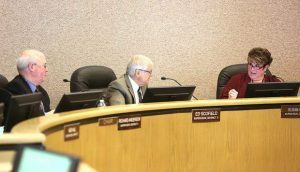 Originally, Placer County helped administer the program until 2016, when it decided it no longer had the capacity for it. 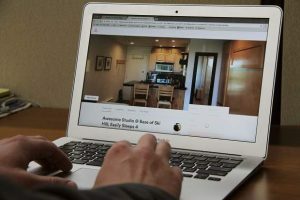 The program aims to give families an opportunity to purchase homes in the Tahoe area when they may not be able to do so on their own. It is limited to those whose household income is less than 180 percent of the median income in Placer County, roughly $144,180 for a family of four. Since 2006, the fund has given $7.5 million in grants to 11 nonprofit organizations in the community. Loans offered may be up to $50,000, or 10 percent of the purchase price. In addition, interest is deferred for the life of the loan or until the house is sold. The fund has also committed $1.4 million to the Artist Lofts project in the Truckee Railyard and $450,000 in additional grants to support workforce housing efforts in the community. 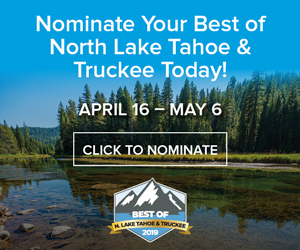 These include the Community House of the Tahoe Truckee Community Foundation which provides support services to anyone in need, Truckee Family Resource Center’s Housing Advocacy and Case Management Programs, and the Emergency Warming Center. “Workforce housing over the past few years obviously has ramped up,” said Allstead. Moving forward Allstead said they are working on a new plans to use money from the fund to promote workforce housing opportunities. “The board is working hard in the next few months,” she said. “We are in the process of strategic planning for our workforce housing plan,” adding that they are still taking requests from the community. Established in 2006, the Martis Fund was created by conservationists and landowners to create a sustainable future for the Martis Valley and is made up of three partners DMB Highlands Group, LLC, Mountain Area Preservation and Sierra Watch. The funds used to aid the community are collected through transfer fees on real estate in Martis Camp. The money is then given back in the form of grants to nonprofit organizations or used for the fund’s own projects. While workforce housing is a huge focus Allstead said the money is split between three funds: a Conservation and Open Space Fund, the Habitat and Forest Restoration and Management Fund and the Workforce Housing Fund. Since 2006, the fund has given $7.5 million in grants to 11 nonprofit organizations in the community. These included the Truckee Donner Land Trust, which has received $3,589,205, and the Truckee River WaterShed council, which received $172,000.